I had been at the old DECC Arena years ago, but this was my first visit to Amsoil, which opened in 2010. Stadium Journey, an internet site, had called Amsoil, “the best arena for college hockey”, and Duluth had run with the headline. 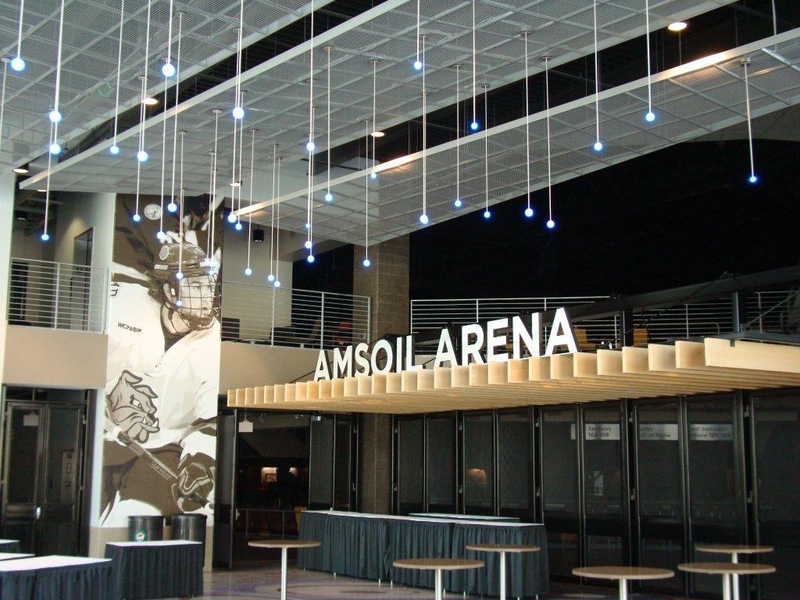 I think Amsoil is a great rink, and I’d love to have its like up in Fairbanks, but it does fall short of Mariucci and The Ralph, and possibly a few others, in my humble opinion. Still, it’s a wonderful place to see a hockey game, and the Duluth faithful love their Bulldogs. 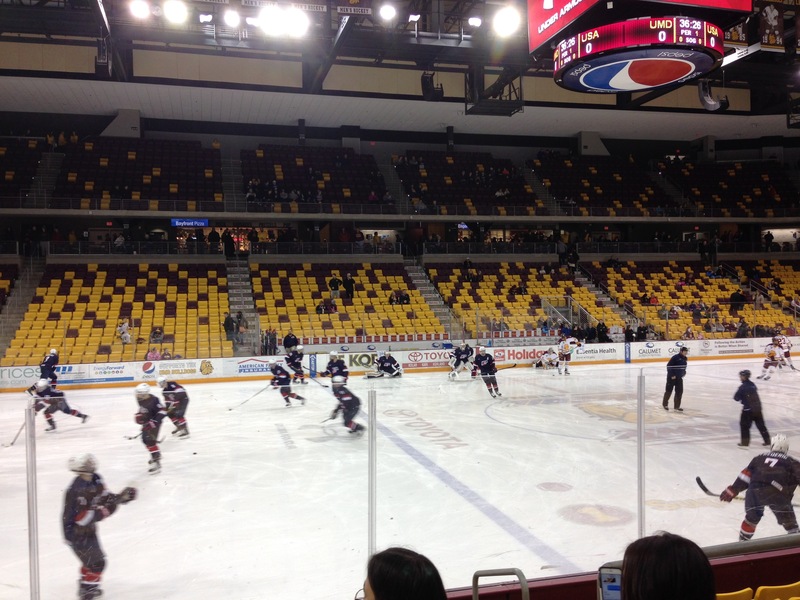 Saturday night was an exhibition game between UMD and USA’s under 18 team. When USA came out onto the ice, the first thing I thought was, “these guys are so small” when looking at them alongside the Bulldogs. The youngsters didn’t play small however. Team USA took the lead on a beautiful wrister by Adam Fox. Fox would be in the thick of things all night long. US-U18 added a PPG by Clayton Keller, assisted by Fox for a 2-0 lead to end period one. The Bulldog fans were not happy. The second period was more of the same as Kieffer Bellows scored on an assist from Keller and the shutout remained going into the third. That’s when UMD’s top line woke up. Dominic Toninato scored two and assisted on a third goal to tie things up in a period that was completely dominated by the Bulldogs. The game went into OT, and Toninato hit the hat trick for the win. Toninato had a four point night, and captain Andy Welinski had three assists for the Bulldogs. Attendance was 5520. This entry was posted on Sunday, January 3rd, 2016 at 4:38 PM	and posted in Uncategorized. You can follow any responses to this entry through the RSS 2.0 feed. Remember seeing Ice Hockey for the first time – got me hooked!